Do you want to see as much as possible during your stay in Austria, but you’re afraid of not having enough time to do so or feel like it’s too expensive to travel the whole country? Don’t worry! We have an excellent public transport system here in Austria which will support you in making your journey more fun and less stressful. The easiest and probably most convenient way to travel in Austria is to go by train. The ÖBB, which is the largest railway company of the country, has a dense transportation network which will enable you to travel anywhere in Austria. Another important aspect of going by train is that you don’t only get from A to B easily, but do something good for our environment, too. Going by train is one of the most sustainable ways of travelling. 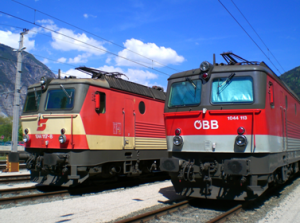 92 percent of the energy that is used by the ÖBB comes from renewable resources. Another issue that might be interesting for you is punctuality. The trains of ÖBB count as the most punctual ones in Europe. Last but not least, pricing is also an important criteria for planning a journey. The price of your ticket usually depends on how many zones you pass. You can easily calculate your ticket-price at tickets.oebb.at. When it comes to planning your journey, ÖBB Plus tickets might be relevant for you as you can combine tickets for transport and activity. Therefore, you get the opportunity to upgrade regular ÖBB tickets to ÖBB Plus tickets. This means that you can add tickets for museums, spas, hiking events and many more at a reduced rate to your regular ÖBB ticket. In other words – you can save money and benefit at the same time! Current offers can be found at the ÖBB website or by using the ÖBB App on your mobile device. After selecting your ÖBB ticket you just have to go to “Extras” and add your favoured offers. You can later pick up your ÖBB Plus ticket including the voucher for your chosen add-on at the stationary ÖBB ticket vending machines at the train station or at the ticket offices of ÖBB. If you have any questions, contact ÖBB directly. The ÖBB customer service hotline is 05-1717-3. You can also book an appointment directly below.